Species are limited in their ability to move to new con tinents by geographical isolation, and this limits the majority of the world's species from becoming invasive species on another continent. Dispersal overcomes the isolating mechanisms that prevent the movement of spe cies from one continent to another, and species have varying levels of abilities to disperse across the barrier and successfully open invasion windows. Species can move by natural dispersal vectors including wind, animal, and water transport. 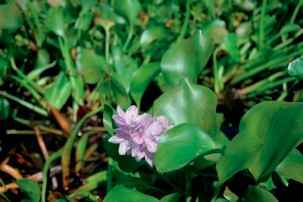 Figure 4 Eichhornia crassipes (water hyacinth) is a floating aquatic species native to South America, but invasive in tropical and subtropical wetlands around the world. Photo by B. Middleton.